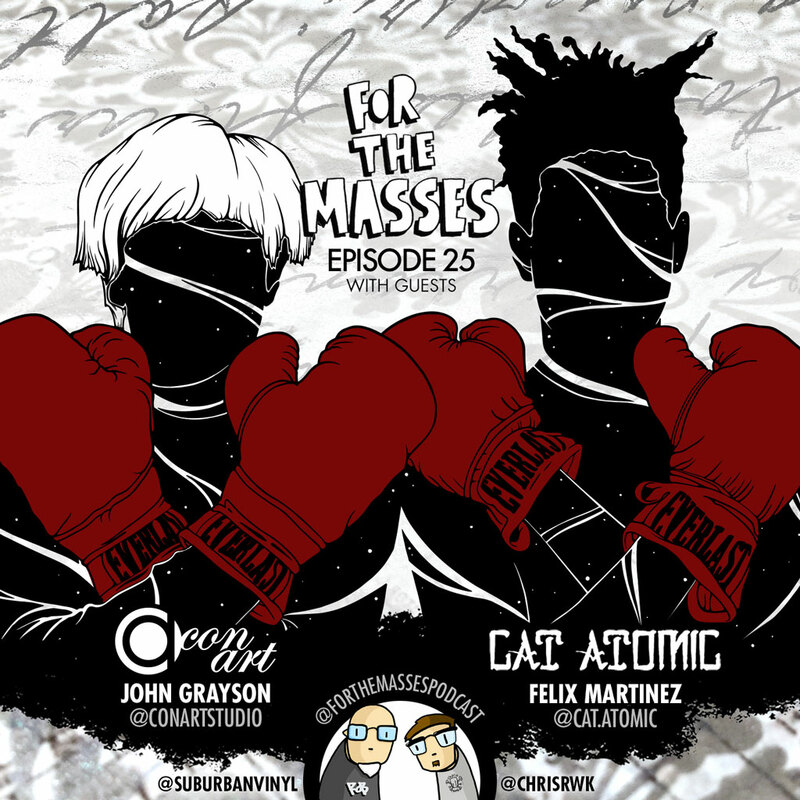 Felix and I were both honored to be guests on the latest “For the Masses” podcast (Part of the Blindbox Network) hosted by Rob Lumino and ChrisRWK. 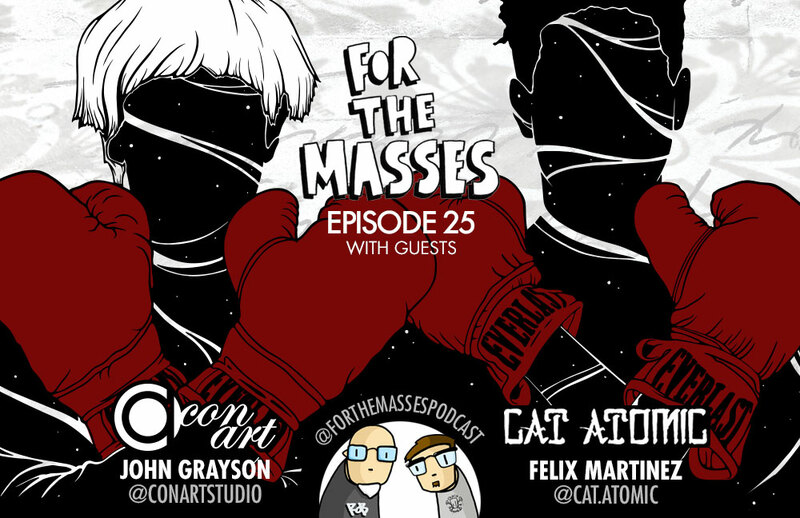 We talk about music, art, how we all met and our upcoming collab art show together at the Mothership Art Gallery. It’s available now to listen to online by clicking on the image below and you will also be able to stream from iTunes shortly.